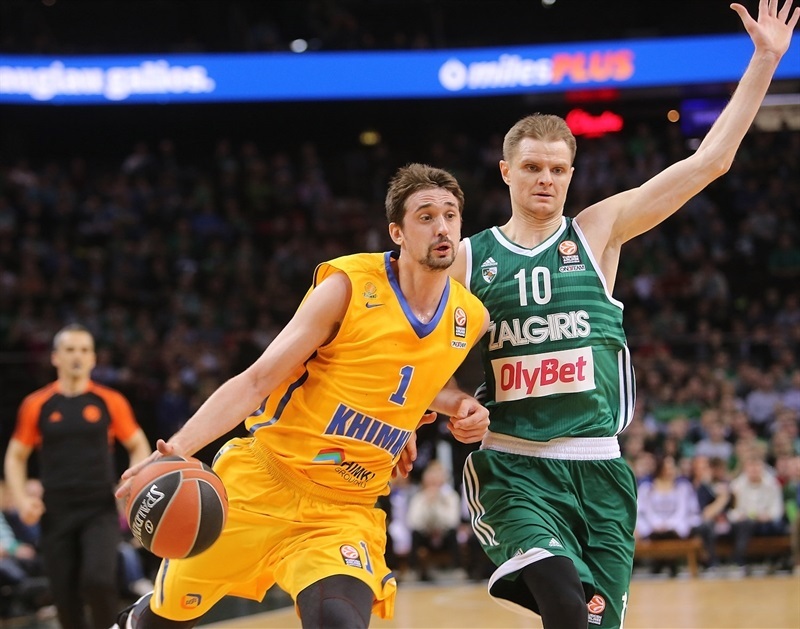 Khimki Moscow Region remained strong in the race to reach the Turkish Airlines Euroleague playoffs from Group F by beating Zalgiris Kaunas 71-76 on the road on Friday. 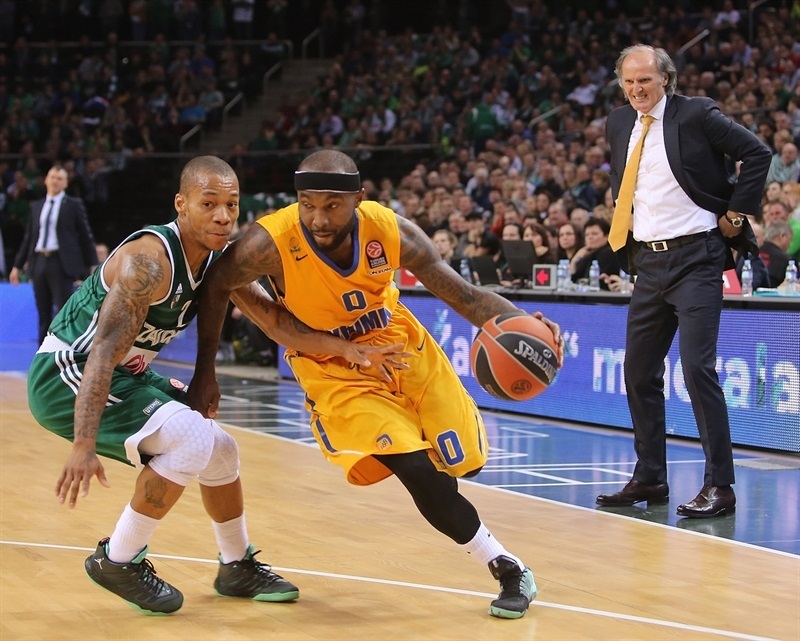 Khimki improved to 6-6 in Group F while already-eliminated Zalgiris dropped to 2-10. Tyrese Rice led the winners with 17 points. 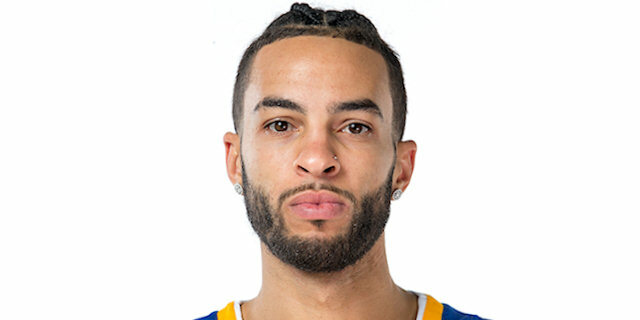 Petteri Koponen added 15, James Augustine scored 12 while Tyler Honeycutt totaled 10 points, 17 rebounds and 4 steals for Khimki. Edgaras Ulanovas led Zalgiris with 17 points, Paulius Jankunas added 16, Lukas Lekavicius 11 and Brock Motum 10 for the hosts. An outstanding Honeycutt had 7 first-quarter rebounds and Koponen and Zoran Dragic shined as Khimki led 17-20 after 10 minutes. Back-to-back baskets by Dragic soon made it a 7-point game. 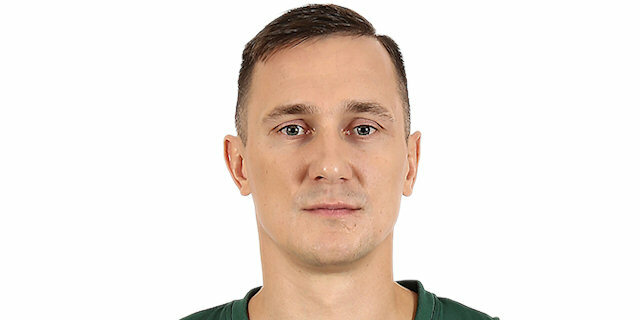 It didn't last long, however, as Ulanovas, Jerome Randle and Renaldas Seibutis combined for all the points in a 17-4 Zalgiris run that helped the hosts to a 37-35 edge at halftime. Khimki improved its defense after the break and found a go-to guy in Honeycutt, who dominated the boards and scored 8 third-quarter points to help Khimki to a 49-56 margin through three quarters. Nothing changed after that, as Khimki kept outrebounding its opponents, boosted its lead to 51-65 and never looked back. 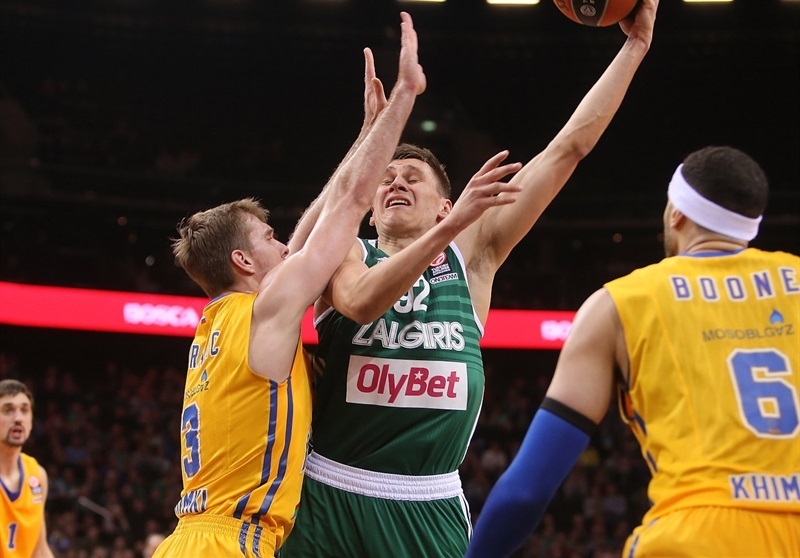 Seibutis needed just 18 seconds to get Zalgiris going with a three-pointer. Augustine scored in transition and found Alexey Shved for a corner triple that gave Khimki its first lead, 3-5. 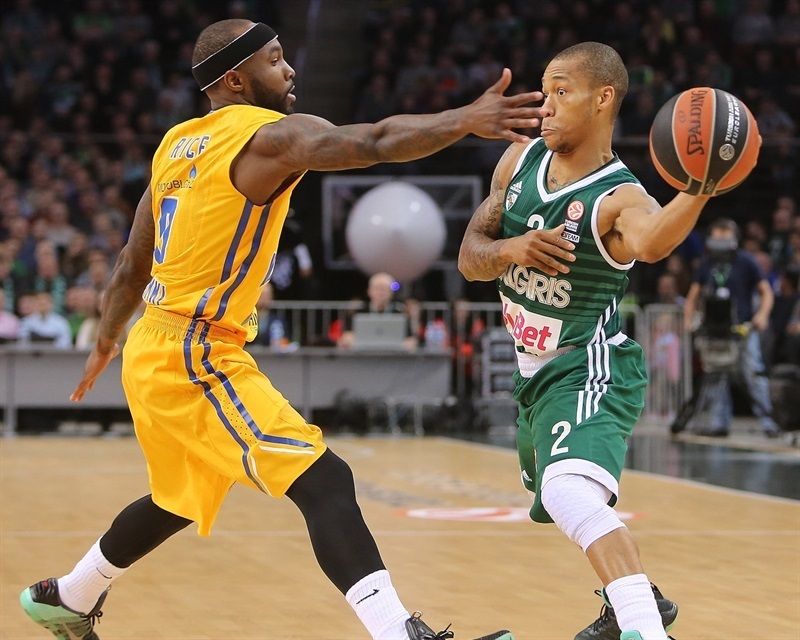 Zalgiris was held scoreless for more than three minutes as a layup by Honeycutt gave the guests a 3-7 lead. 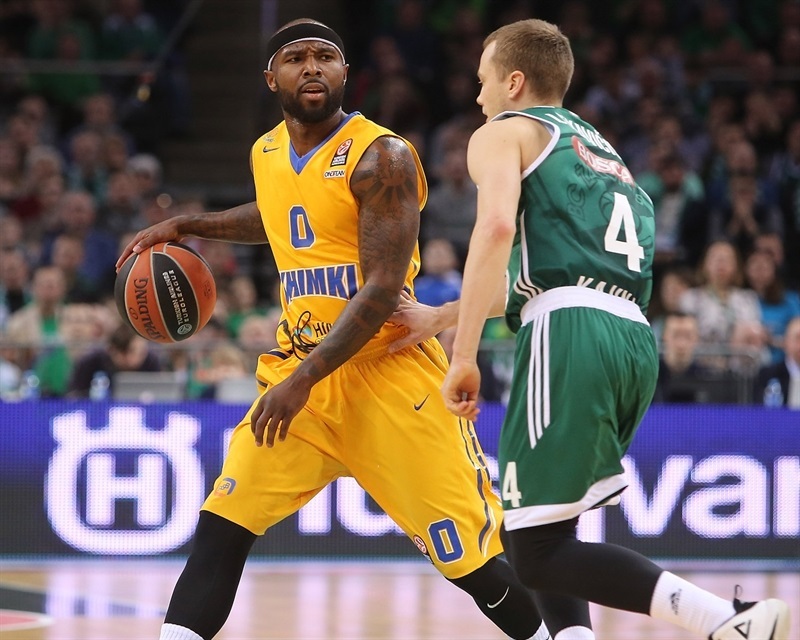 Motum and Tyrese Rice struck from downtown as Khimki controlled the game with great defense in which Honeycutt played a leading role. 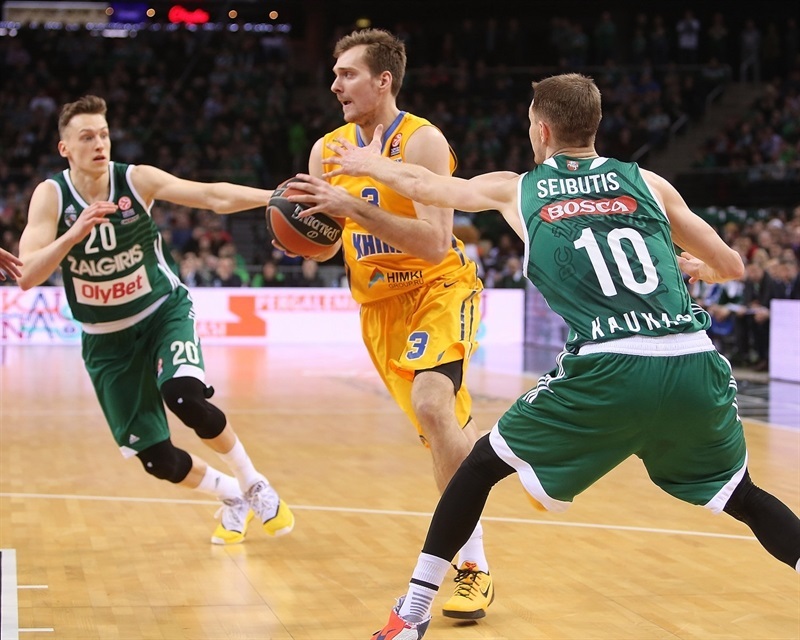 Ulanovas stepped up with a three-point play, but a jumper by Shved gave Khimki a 9-12 lead. Ian Vougioukas fed Jankunas for a layup and free throws by Kaspars Vecvagars put Zalgiris ahead. Vougioukas dunked and matched Koponen's mid-range jumper with free throws. Dragic hit foul shots and a jumper by Koponen prompted the hosts to call timeout. A mid-range jumper by Dragic gave Khimki a 17-20 lead after 10 minutes. Dragic kept pushing Khimki with a four-meter jumper off the baseline early in the quarter and soon added a driving layup for a 17-24 score, after a 0-8 run. Randle stepped up with a five-meter jumper and a put-back basket that got the crowd involved. 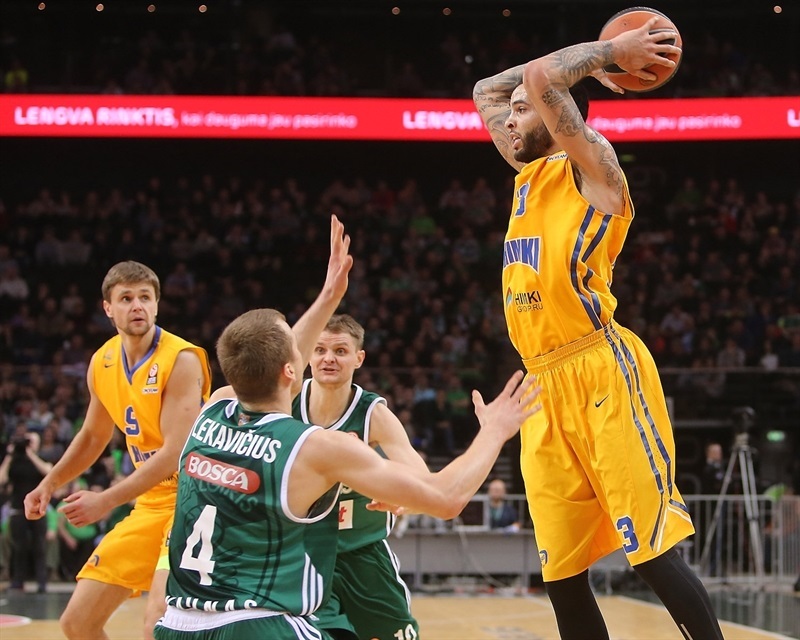 Khimki lacked ball circulation and a jump hook by Ulanovas made it a 1-point game. Shved rescued the guests with a close basket, but Ulanovas scored again in the low post and buried a three-pointer to put Zalgiris in charge, 28-26. Rice split free throws, but Ulanovas scored again and a layup by Lekavicius gave Zalgiris a 32-27 lead. 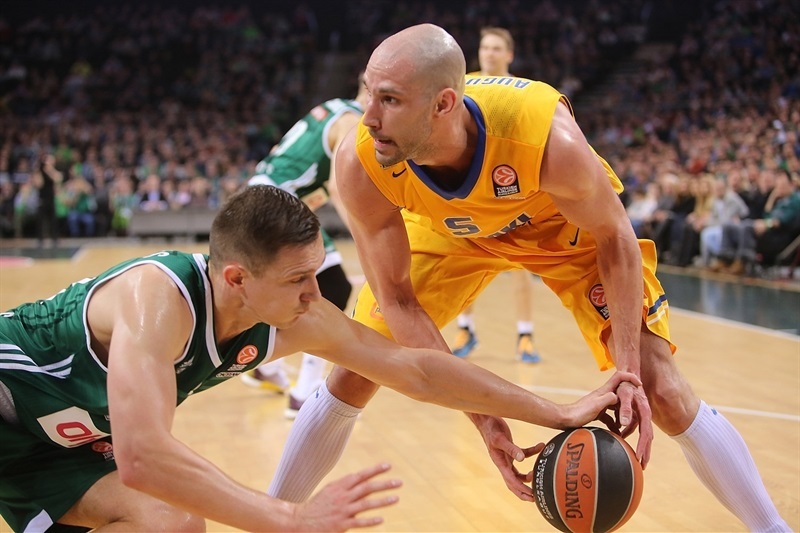 Khimki could not find the way to the basket and kept committing turnovers against Zalgiris's aggressive defense. Seibutis buried a mid-range jumper that Rice improved on with 4 free throws. 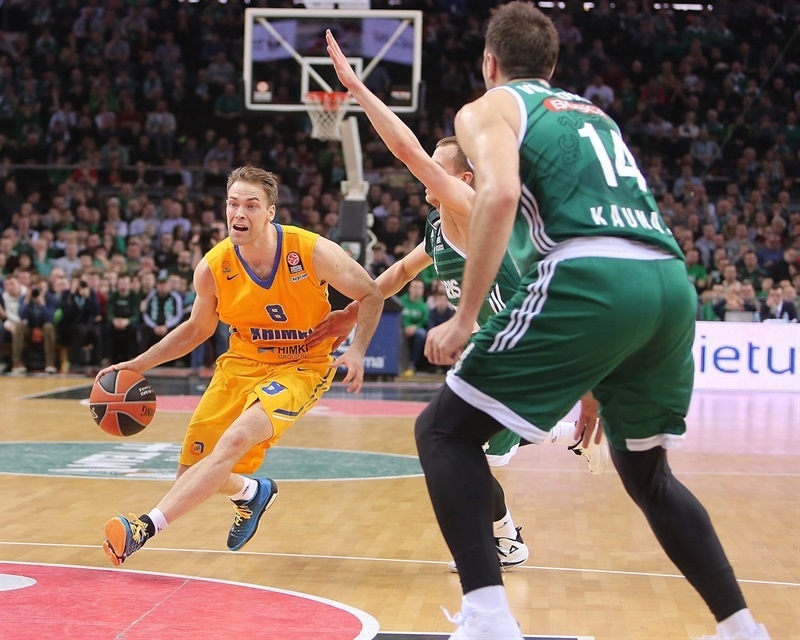 Lekavicius shined with a three-pointer, but back-to-back jumper by Koponen kept Khimki within 37-35 at halftime. Rice banked in a running shot soon after the break and a second-chance tip-in by Augustine put Khimki back in charge, 37-39. 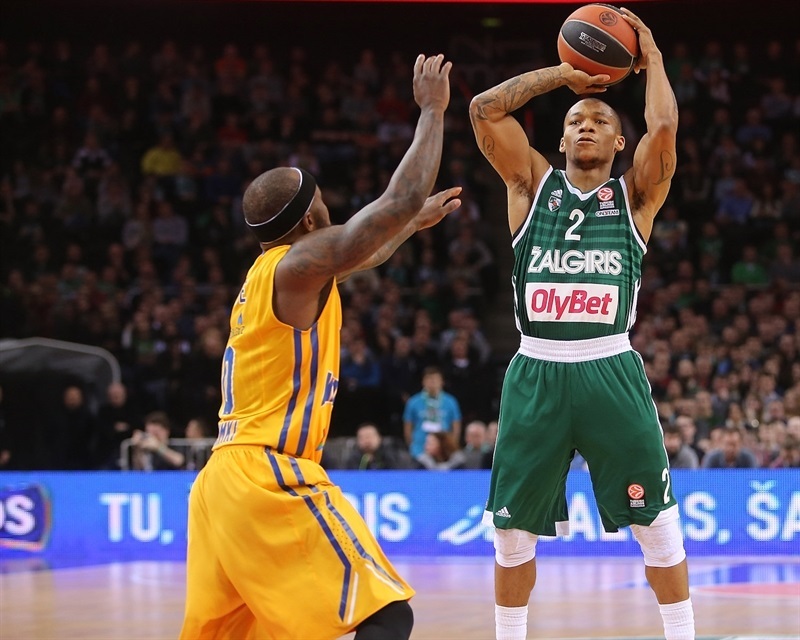 Motum found answers for Zalgiris with a three-pointer, but Honeycutt matched that with a layup-plus-foul. Augustine kept pacing the guests with a layup, good for a 40-44 Khimki lead. 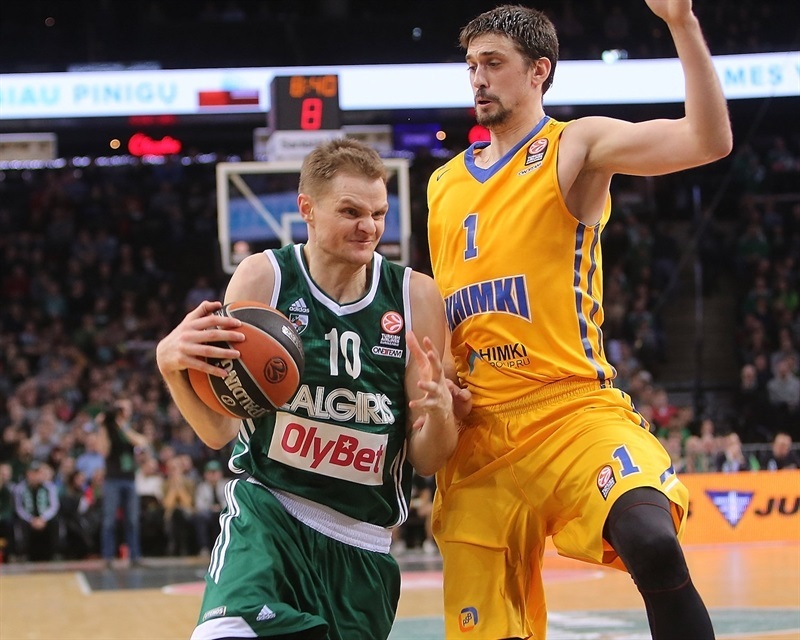 Zalgiris kept struggling to score until Jankunas buried his trademark jumper from the elbow. Honeycutt made free throws and Augustine matched Lekavicius's backdoor layup with a fast break slam. Jankunas hit another mid-range shot, but Honeycutt and Sergey Monya helped the visitors make 46-52. Lekavicius split foul shots, but Koponen hit both attempts and an unstoppable Honeycutt followed a big block on Motum with a tip-in at the other end. Free throws by Jankunas brought Zalgiris within 49-56. Augustine hit a one-handed jumper in the lane early in the fourth, as Khimki kept dominating the game with physical, intense defense. Josh Boone took over with a high-flying tip-in that made it a double-digit game, 49-60, with eight minutes left. Jankunas buried yet another mid-range jumper, but Koponen followed a three-pointer with a fast break layup that broke the game open, 51-65. Motum finished a good Zalgiris play with a fast break layup and soon added a fadeaway jumper to bring the hosts a bit closer, 55-66. Rice took over with a wild driving basket, which Augustine followed with a layup that sealed the outcome, 55-70, with three minutes left. Zalgiris kept trying, but Khimki kept full control of the game and cruised to a very important road win that kept it in the playoffs race. "It‘s disappointing, we need to admit that we didn‘t use all our chances in the game. In the third quarter, the opponents took control and grabbed more rebounds. We can talk a lot, but the main thing is this group is too tough for us. Six teams in this group could play in the quarterfinals and a few of them could go to the Final Four and win the title. The guys tried to fight back, but we needed to play better in the third quarter. We have to be calmer and can‘t allow opponents to make easy baskets." "It was very important game for us. In the second half we played much better. We were more concentrated in defense and had good patience in offense. 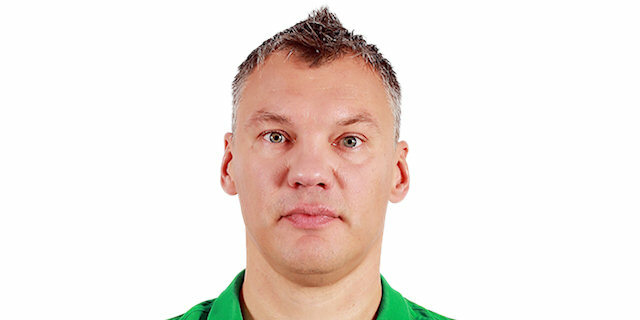 I‘m a new coach of this team so I need every second to improve our game." 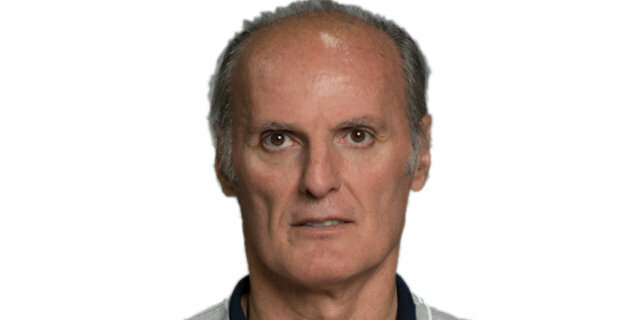 "We lacked aggression, energy and allowed them to score some easy points. They showed great defense and in the second half we didn‘t play how we planned. Our opponents got more rebounds than us and these are details why Khimki took control of the game and grabbed the victory." "I think we did a great job. We showed great defense. Other teams scored a lot of points on us, but tonight we played great defense and allowed the opponents to score only 71 points."